We want to apologize to both Claire Foy and to Matt Smith, brilliant actors and friends, who have found themselves at the center of a media storm this week through no fault of their own. Claire and Matt are incredibly gifted actors who, along with the wider cast on The Crown have worked tirelessly to bring our characters to life with compassion and integrity. 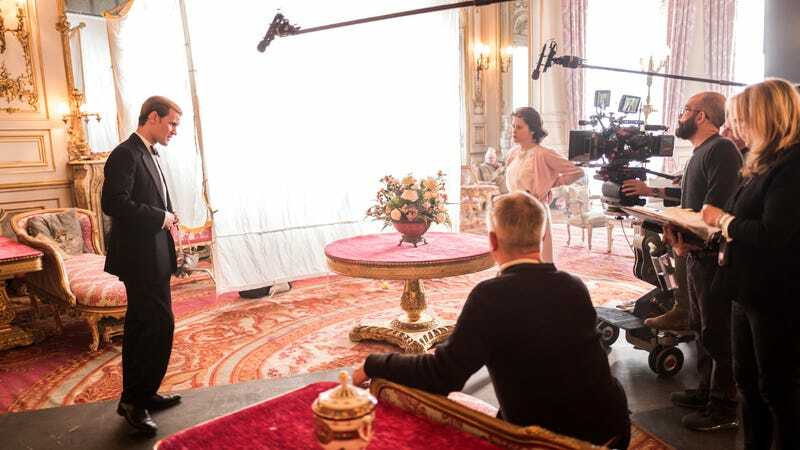 As the producers of The Crown, we at Left Bank Pictures are responsible for budgets and salaries; the actors are not aware of who gets what, and cannot be held personally responsible for the pay of their colleagues. Left Bank also expressed its support for closing the gender pay gap in film and TV, but wouldn’t comment on whether it would retroactively award Foy with a salary truly fit for a queen. As usual, the culprit here seems to be the system of “quotes” that typically dictates pay negotiations for actors, in which an actor is paid based on the size and success of their previous roles rather than the current one. Smith was fresh off of a run as Doctor Who when he signed on for The Crown, a role that was deemed higher-profile and therefore more bankable than Foy’s role as Anne Boleyn in the BBC historical series Wolf Hall. In this way, even when they do end up landing a rare title role, women end up getting paid less for those roles based on the dozens of girlfriends and wives and other secondary characters they’ve been forced to play in the past. It’s a systemic obstacle, in other words, one that reflects the conscious and unconscious biases of the men who are still overwhelmingly writing and greenlighting film and TV projects, even those that star women. Ah, show business.